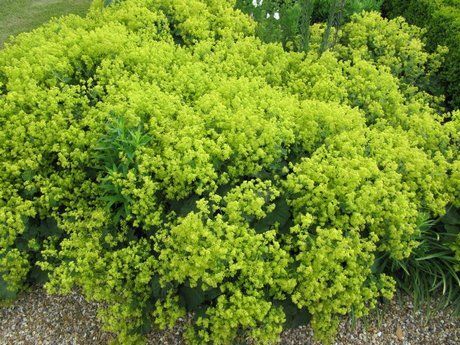 The common names for the Hardy perennial Alchemilla is Lady's mantle. Alchemilla are low growing plants. Lady's mantle has sprays of pale yellow or green flowers, and pale green, crimped foliage. As a consequence of the plants small height they make great edging plants, and are ideal for rockeries. USDA-NRCS PLANTS Database / Britton, N.L., and A. Brown. 1913. Illustrated flora of the northern states and Canada . Vol. 2: 264. Alchemilla mollis photograph by Wallygrom. Height: 12 to 18 inches (30—45 cm). Spreads to 24 inches (60 cm). Native: Europe, Asia, Africa, Americas. Growing Region: Zones 3 to 8. Flower Details: Pale Chartreuse (yellow/green). Tiny. Star-shaped. Petal-less. Loosely sprayed clusters. Flowering stems rise 12 to 18 inches (30—45 cm) above the main plant. Foliage: Herbaceous. Basal mound. Clumpy. Circular, Scalloped/toothed leaves. Light green to grey-green. Soft hairs on leaves lead to water resistance. Sow Outside: Seeds: 1/8 inch (3 mm). Spring or autumn. Sow Inside: Germination time: one month. Temperature: 60 to 68°F (15—20°C). Seven or eight weeks in advance of the last frost. Transplant outdoors following the last frost in spring. Space at 12 to 18 inches (30—45 cm). Requirements and care: Full sunlight or partial shade. Good drainage. Moist soil, Average soil. Humus rich/added for best results. Deadhead to prevent seed-set and spread, may also lead to a secondary, though sparse, bloom. Cut back to tidy. Water enough to keep soil moist. 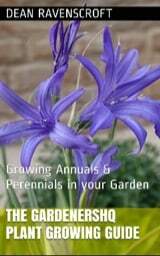 Propagate by division in spring or the start of autumn. Miscellaneous: Retains water droplets on its leaves following a rainfall, making for an attractive effect when they later sparkle in the sun. Rabbit and Deer tolerant. May spread aggressively from seed. It is best to sow Lady's mantle and other Alchemilla at a depth of 1/4 cm, with a spacing of 30 cm for smaller species and up to 45 cm apart for larger species in either the spring or autumn. Lady's mantle prefers partly shady or full sunlight as long as it is kept moist. The soil should be well drained, yet moist with humus added. Alchemilla requires between 3 and 4 weeks to germinate. If started off indoors it is best to grow at a temperature of 15 to 20 degrees centigrade for six to eight weeks, then put outdoors in the spring. 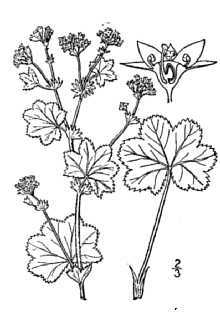 Alchemilla requires flowers to be deadheaded following blooming to prevent the plant from selfing.